Choosing one of the pre-owned Chevrolet Tahoe SUVs on our Naperville, IL lot gets you access to a powerful V-8 engine, seating for as many as eight, and access to amenities like OnStar, hands-free calling, and performance audio at an affordable price. 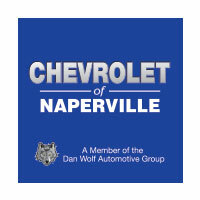 Explore your options here, then read on and see why when you want a great deal on your next Chevrolet vehicle, Chevrolet of Naperville should be your first stop. At Chevrolet of Naperville you not only get access to competitive prices on the widest selection of Pre-owned Chevrolet Tahoe SUVs Naperville, IL has to offer, you also gain the opportunity to upgrade to the new Chevy car, truck, or SUV you want for less with the Chevrolet Upgrades Program. Simply bring in your current, late model vehicle for service and while you’re here one of our technicians will inspect it to see if it meets our high standards. If it does, you can qualify for special financing, extended warranties, and even a rebate of your current service charges when you choose to buy your new Chevy from us. So, take advantage of our low prices, state-of-the-art service center, and competitive financing when you get behind the wheel of a new or Certified Pre-owned Chevrolet from Chevrolet of Naperville and get started on your car buying adventure. Contact us for more information.